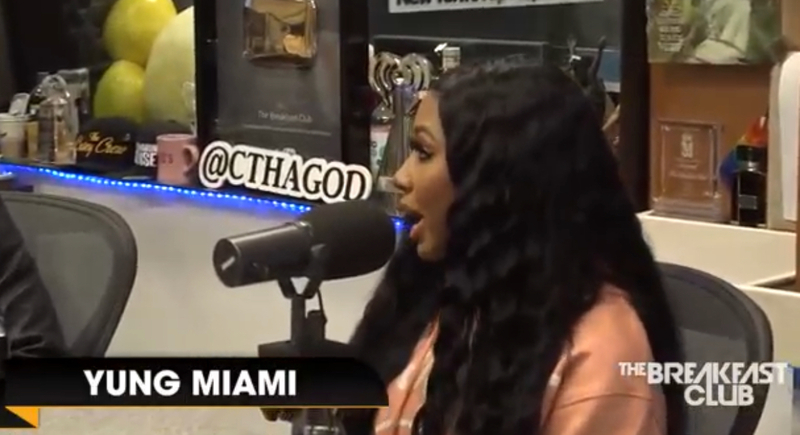 For today’s episode of The Breakfast Club, Yung Miami from the City Girls’ sat down with Charlemagne, Angela Yee, and DJ Envy to discuss how her and JT met and later became City Girls. “We were childhood friends… JT used to rap since she was young, like she can really rap,” says Yung Miami. The raptress also shared about how her and JT’s very first show was shot up and temporarily shut down because of fighting and gun shots. Yung Miami even talks about her controversial tweets about Haitians, being team Cardi B, working with Drake and much more.